Located just outside the busy Denver Colorado Suburbs, the fish of the Cheesman Canyon section of the South Platte River have been well trained. Caught and released 100 times per season, the fish of the South Platte and other highly pressured waters become extra selective. 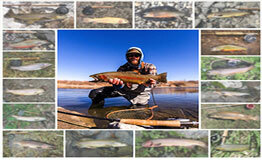 The Cheesman Emerger is sneaky little pattern that excels at tricking these water-wise trout. While small and profile and unassuming in color, this tiny beadhead emerger is a killer during the BWO, Trico, and Sulphur Mayfly hatches. When the trout are refusing everything else in your box, its time to tie on a Cheesman Emerger!